In an attempt to reduce its reliance on third-party processor makers, HTC has reportedly signed a memorandum of cooperation with ST-Ericsson to develop its own mobile chips, following the same route as its rivals Apple and Samsung. According to a report by the China Times (via Unwired View), HTC will develop a dedicated application processor that will be incorporated into its low-end smartphones when production starts next year. Facing increased competition in the smartphone market as of late, HTC has been forced to overhaul its device strategies, focusing on ‘hero’ devices that started with the launch of the HTC One range of Android smartphones that fused impressive hardware specifications with a tighter software experience that built upon Google’s Android operating system. The move into processor development mimics that of Apple and Samsung, with their A4/A5/A5X and Exynos mobile chips powering their latest smartphones and tablets. Samsung has been rumoured to have dropped its reliance on Qualcomm, pushing forward with its new range of quad-core processors and HTC looks set to do the same when it starts production with ST-Ericsson next year. 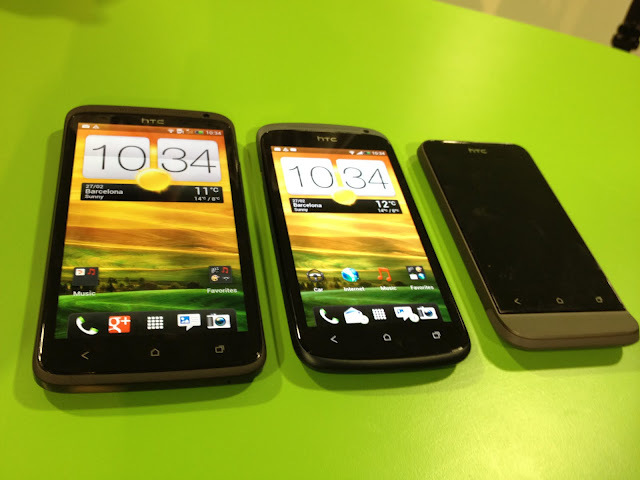 A possible reason for HTC’s decision to reduce its reliance on Qualcomm (but also Nvidia) may be as a result of issues faced with the launch of its One X smartphone, which utilises Nvidia’s quad-core Tegra 3 in European markets but features Qualcomm Snapdragon S4 processors for its 4G-enabled devices in North America and other regions. Finnish mobile phone maker Nokia has already penned a deal with ST-Ericsson, announcing a deal in November 2011 to supply the chipsets for handsets it intends to deliver to the low, mid and high-end smartphone markets around the world. HTC has not confirmed the memorandum at the time of writing, but we have reached out for comment and will update the article should we receive a reply.